Moshe Koren’s farm is a collection of boxes spread out here and there over the hills of the western Galilee. 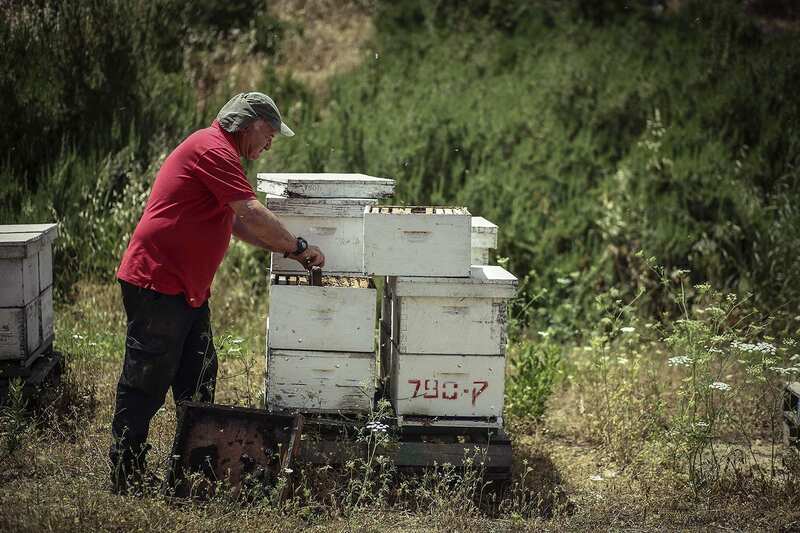 Moshe, a beekeeper from Moshav Me’ona, next to Ma’alot-Tarshiha, has many hives that dot the hillsides around the moshav. 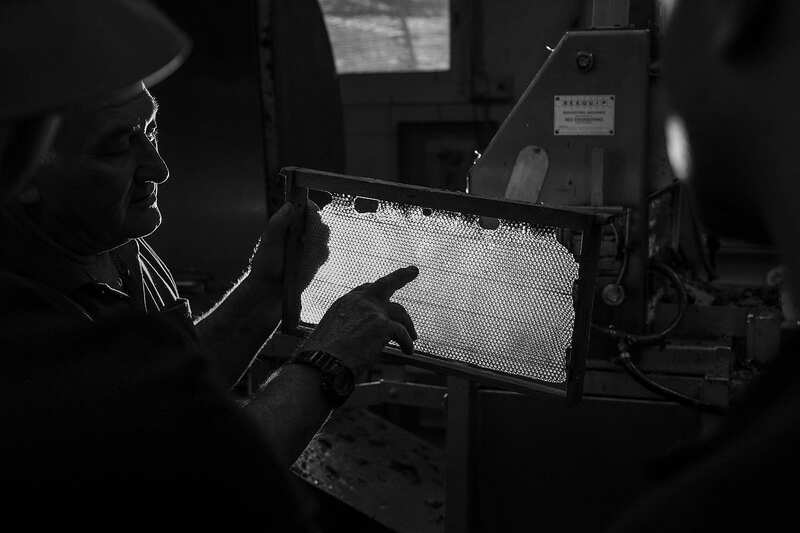 After forty years in the honey business, he has learned the painful lesson: that honey shouldn’t just be harvested at the end of the season, but also in the middle. 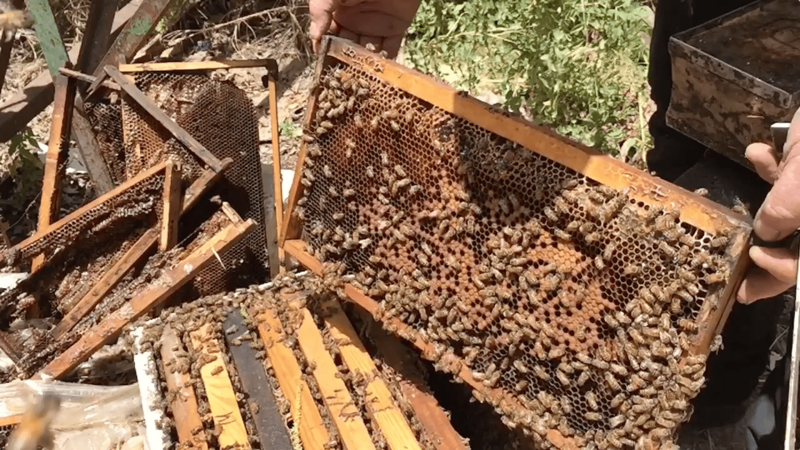 At the end of the season, the busy bees buzz defensively around the filled hive, preventing anyone from getting to the season’s worth of honey. Therefore, experienced beekeepers make sure to harvest in the middle of the season. 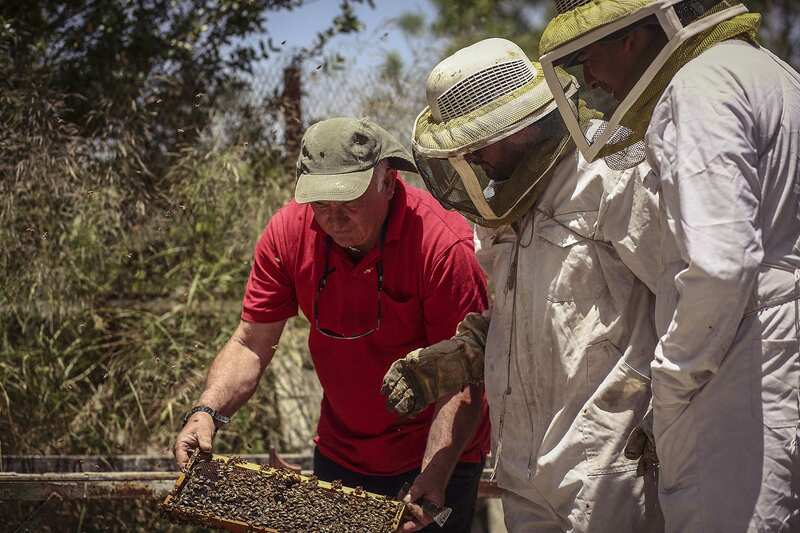 Knowing this, we expected to find empty hives when we joined Moshe on the last day of honey harvest. After all, Moshe had already collected most of the honey weeks before. As he opened the lid of the hive, we hastily retreated. 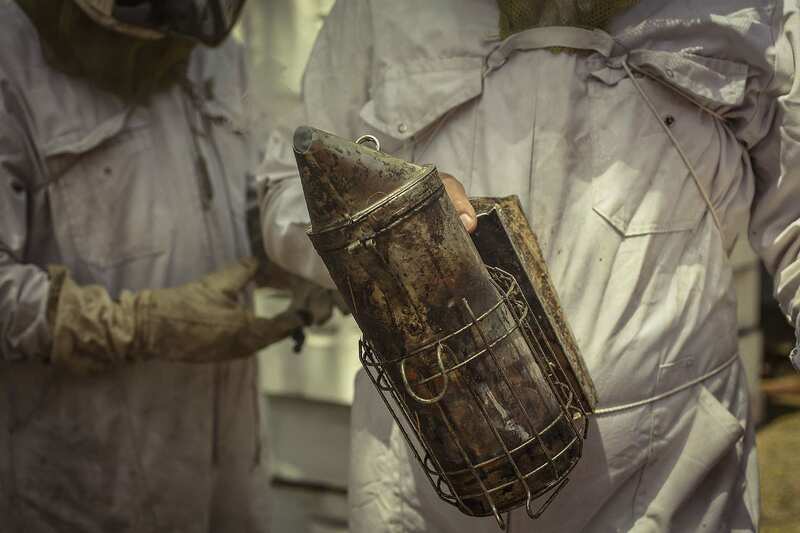 We might have been wearing protective clothing, but there’s no clothing in the world that can completely protect you from the natural instinct of a huge swarm of bees. To our surprise, the hives were full. 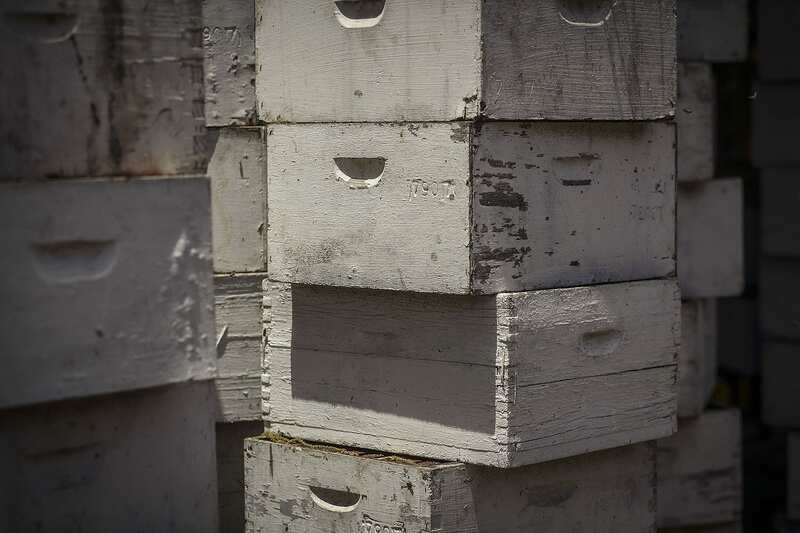 The mid-season harvest encourages the bees to produce honey even more vigorously, and the honeycombs are bright with dripping masses of orange honey. 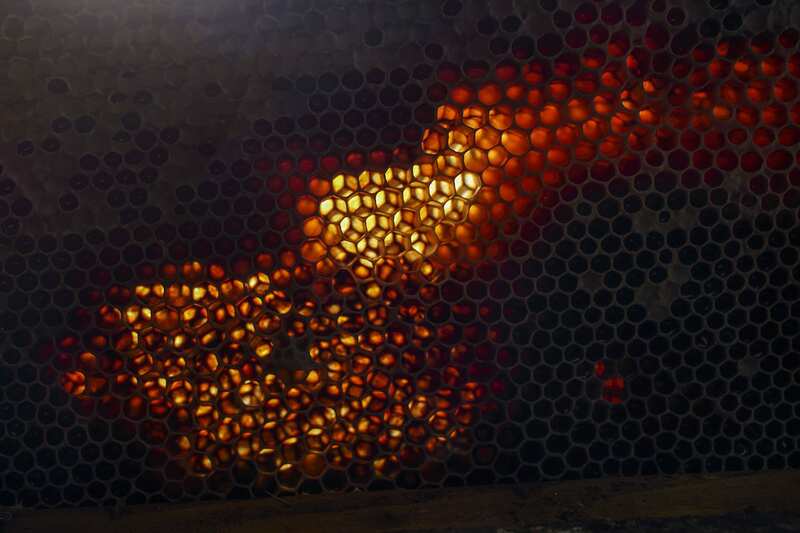 Moshe slowly switches out the layers of the hive, where each honeycomb sits on an empty level. It’s important not to sweat, because the bees will attack the source of the smell. Of course, that thought alone is enough to make you sweat into the thick white protective jumpsuit. 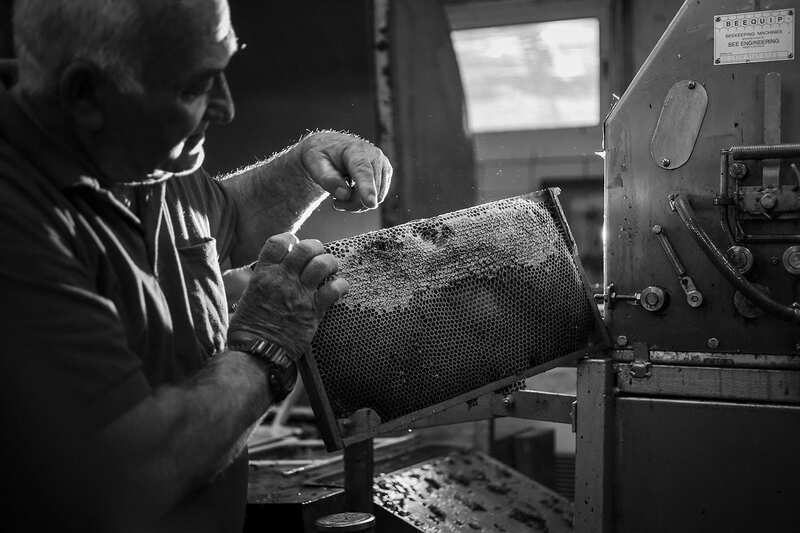 In Moshe’s work room, he begins to reveal his secrets as he removes the combs from the racks he’s gathered from the hives: a thick, deep brown liquid whose aroma gets more intoxicating as more and more of it collects in Moshe’s bowl. This is the avocado blossom honey that is Moshe’s particular pride. The taste is nutty and we can’t help licking our fingers. All the wonders of the Galilee, its earth and its plant life, seemed to have flowed directly into the enchanted liquid.